Stand Up for Ohio (SUFO) is an organization of, by, and for the people of Ohio. We fight for social, racial, and economic justice in our communities and at the state level. 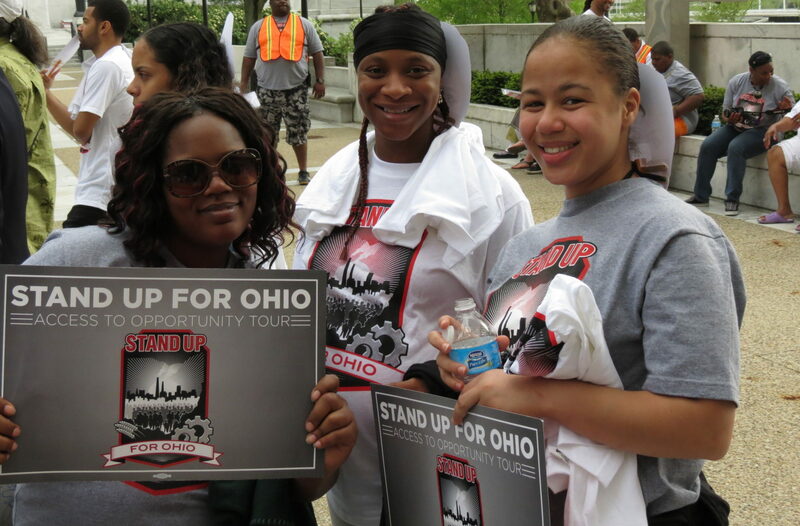 By joining together as members of Stand Up for Ohio, regular people from all across the state can work, act, and vote in powerful formation to create lasting change in our neighborhoods and in our government. We know that we’re stronger together than we are alone. We’re up against forces that want to keep us divided, incarcerated, and in poverty. They have money, but we have numbers. If those of us who want to reform our criminal justice system, raise wages for working people, and reinvest in communities joined together, we would vastly outnumber our opponents. By pooling our resources and working together, we have the power to create a more equitable and prosperous Ohio for ourselves and our children.